If you fall behind on a debt, your creditor can pursue a claim against you in civil court. If the creditor wins a judgment against you, the next step is to pursue garnishment of your wages or seize your assets. The state of South Carolina is one of four states that does not permit wage garnishment. However, state law does permit creditors to pursue garnishment against your bank account, effectively freezing your assets. In order to secure a judgment against you, a debt collector must first file a civil lawsuit with the magistrate or circuit court nearest to where you live. 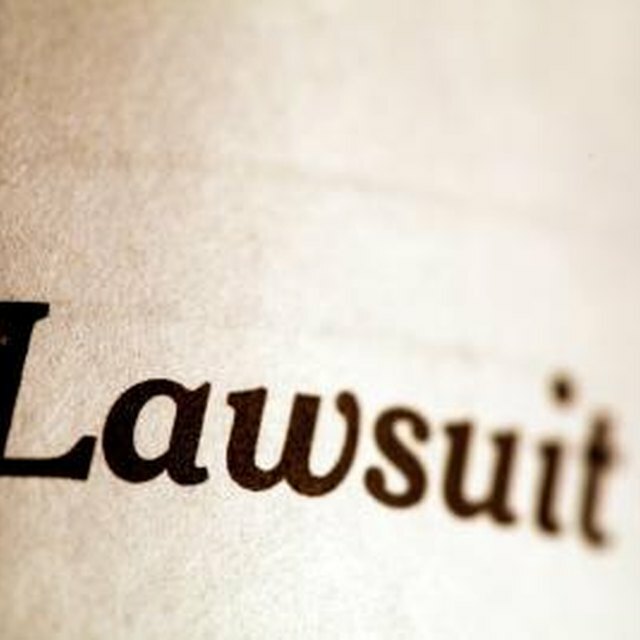 In South Carolina, creditors are required to serve debtors with a notice of Summons and Complaint outlining the amount of the debt and their grounds for bringing the suit. State law allows you a period of 30 days to file an answer to the summons. If you fail to answer the summons, the creditor will automatically receive summary judgment against you. If you go to court but fail to prove that you aren't liable for the debt, the judge is also likely to issue a judgment against you. If the court rules in the debt collector's favor, he is then free to pursue seizure of funds held in your bank account. This involves filing a writ of garnishment with the Clerk of Court's office that granted the judgment. The Clerk of Court must then notify your bank of the judgment against you and provide them with a copy of the garnishment order. By law, the bank is required to freeze any funds in your account until the amount of the judgment can be turned over to the creditor. If a creditor is able to freeze your account, you have two potential remedies for dealing with the situation. First, you can attempt to contact the creditor or their attorney and negotiate a settlement. Not all creditors are willing to settle and you will need to have cash on hand in order to negotiate an offer. The second possibility for unfreezing a bank account in South Carolina is to attempt to vacate the judgment. This essentially erases the judgment and lifts the garnishment order. For example, if your account contains funds that are exempt from garnishment, such as Social Security benefits or if you never received notice of the lawsuit, you may have grounds to have the judgment vacated. The statute of limitations (SOL) for debt in South Carolina is three years for open accounts, including credit cards and other unsecured debts. This means that debt collectors are barred from pursuing a civil lawsuit if the SOL has expired. Before you submit your answer to a summons, check your records carefully to determine whether the debt is considered time-barred. If your account lacks sufficient funds to pay the judgment, your creditor may pursue other means of collection against you, including placing a lien on any real property you may own. MYF Legal Services: My Bank Account Is Frozen. What Do I Do?